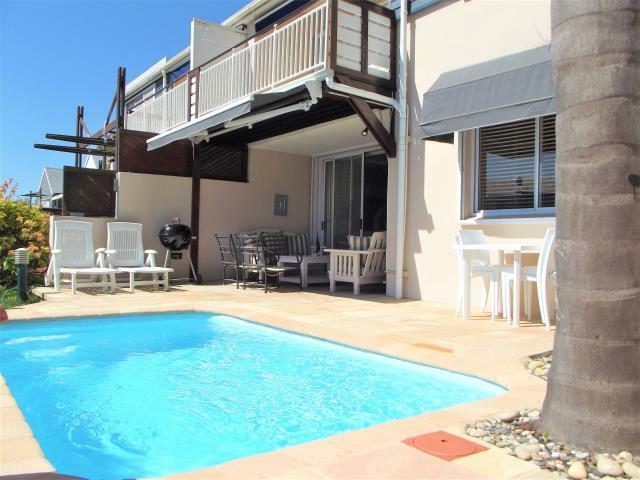 3 Bedroom Apartment for Sale in Sought after Knysna Quays, including two moorings"
Do not miss this opportunity to purchase a marvelous ground floor North facing 3 bedroom house in Knysna Quays with a swimming pool, double garage and two moorings on the Waterfront. Enjoy the safety of this Marina with deep water moorings on your doorstep, only a two minute walk from the Knysna Waterfront and restaurants. The two moorings can be purchased additionally. This unit also enjoys a rental income from AirBnB or can work as a lockup and go.